This level has medium difficulty. For this level try to play more from the bottom to break the blockers or make special candy as you get the chance. 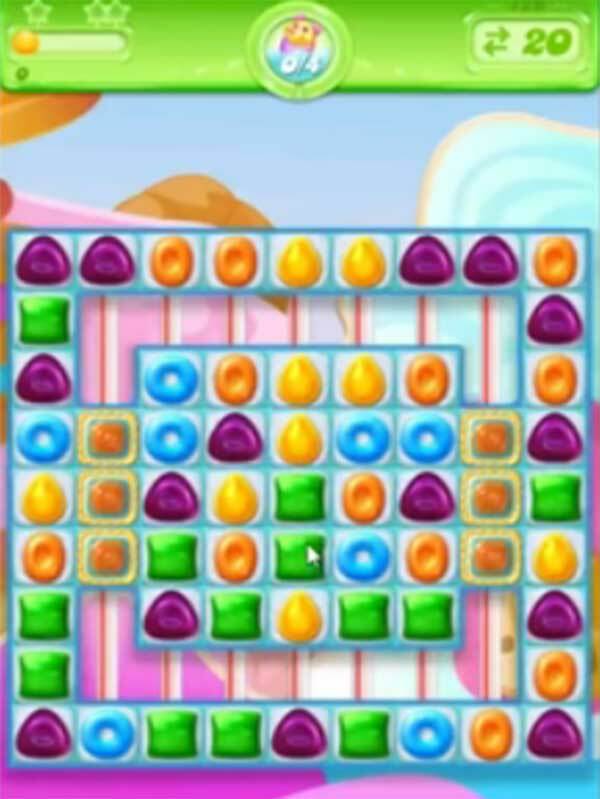 Combine special candies with each other to break more blockers to break the blockers to find pufflers. I only get 17 moves! How do you get 20? Not like 20 will help. I can’t get through this level at all. I can only WISH my candies would fall like the ones in the video. I’ve been on this level for 2 weeks & the most pufflers I have gotten is 2.